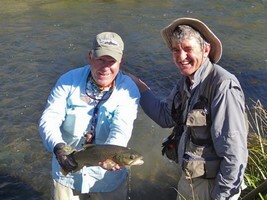 This month's guests include Thomas and Thierry as well as Mike and Sheralee Lawson famous for their fly shop and guide service on the Henry's Fork in Idaho. Thomas and Anita hail from London so the semi-deserted Mackenzie Country couldn't have been further removed from the big smoke! I'm sure when they look at their photos once back home, memories of a day spent in solitude and quietness will fuel the urge to come back. Swiss Thierry was on a 3 month long visit to New Zealand. 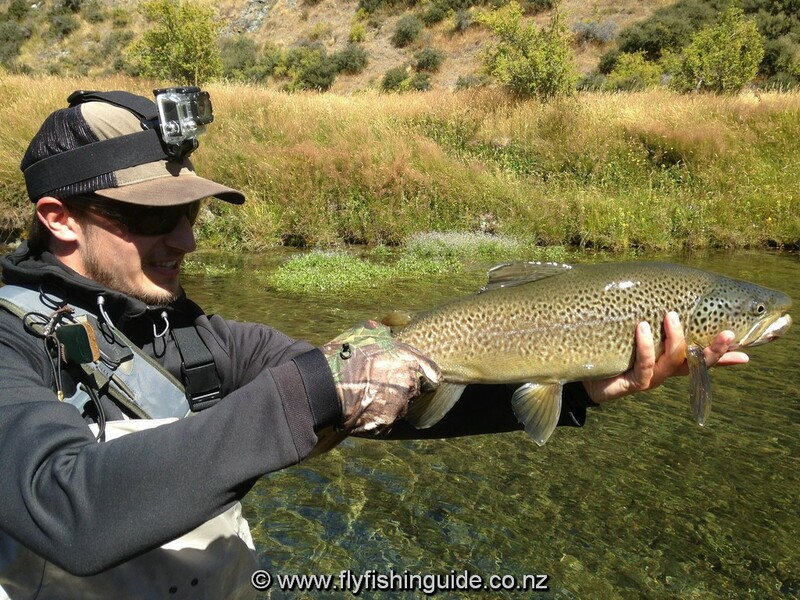 Combining a day fly fishing here and there with many other tourist activities the young fellow had a glorious day battling large South Island browns. 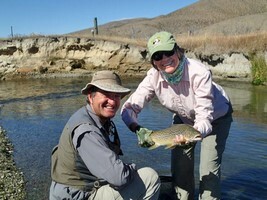 Mike and Sheralee experienced a mixture of good and tough conditions. 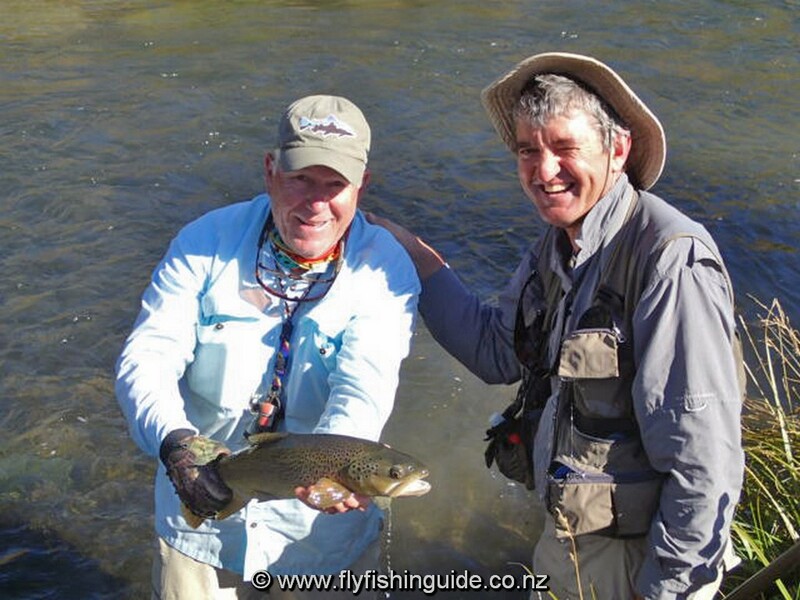 We were very nearly blown off the water on the second day but to their credit this very professional couple stuck to their guns with Mike being rewarded with 2 very nice rainbows. Sheralee hooked a large brownie late in the day but the hook didn't stick and the relieved trout disappeared downstream at a great rate of knots - bugger! 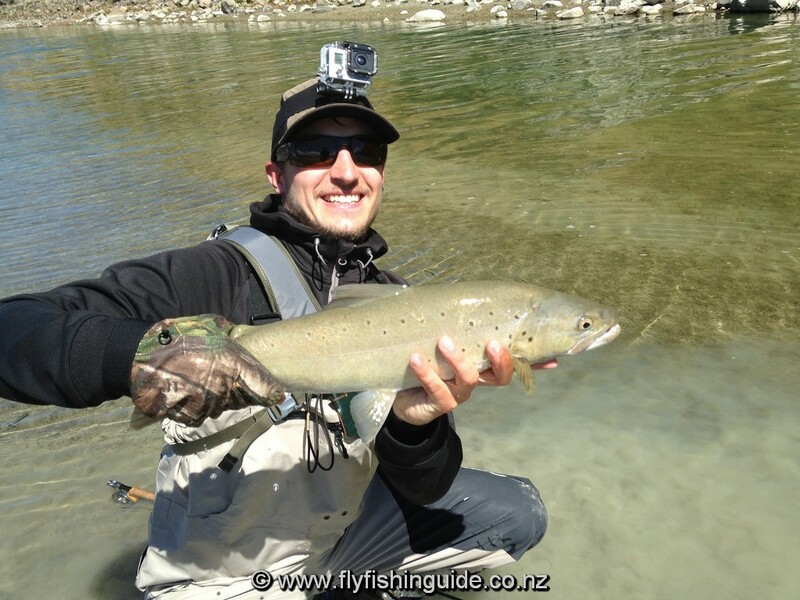 That is fishing................."
Although some rain fell this month, little or no changes to river levels were recorded. 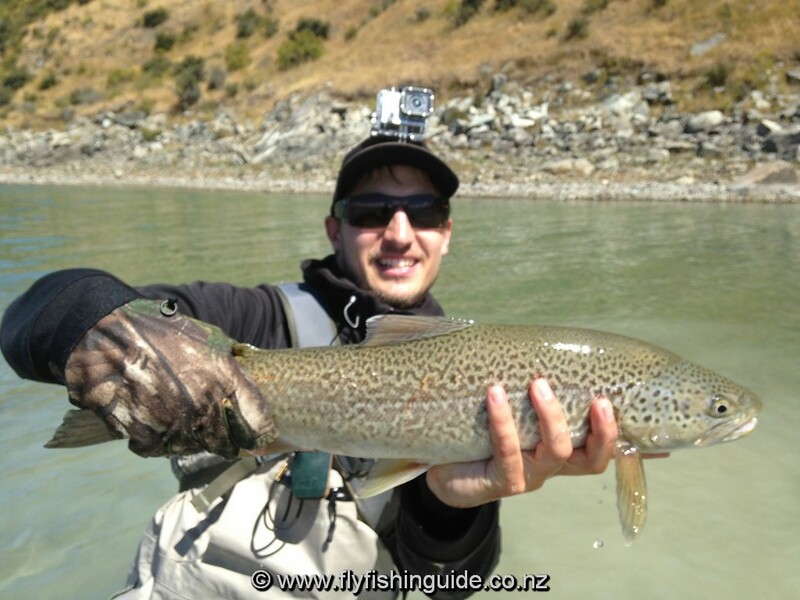 A flush is always good for fishing especially after a long period of low and dropping flows. The bottom of the stream bed is stirred up and trout that had previously been inactive can start to feed on the dislodged nymphs. Just as importantly, trout will remain in lies threatened by dropping river levels. Of course sunny, settled weather is not all bad news - far from it! In fact these are ideal conditions for spotting which in some rivers is imperative for difficult trout - you need to see them to catch them! 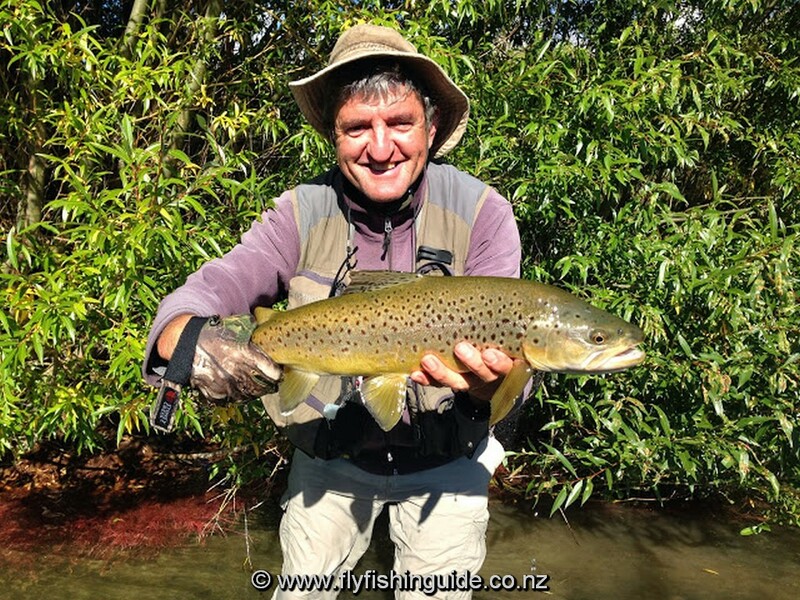 Thomas very happy after nabbing this fine brown trout .... and happy to return him "home"